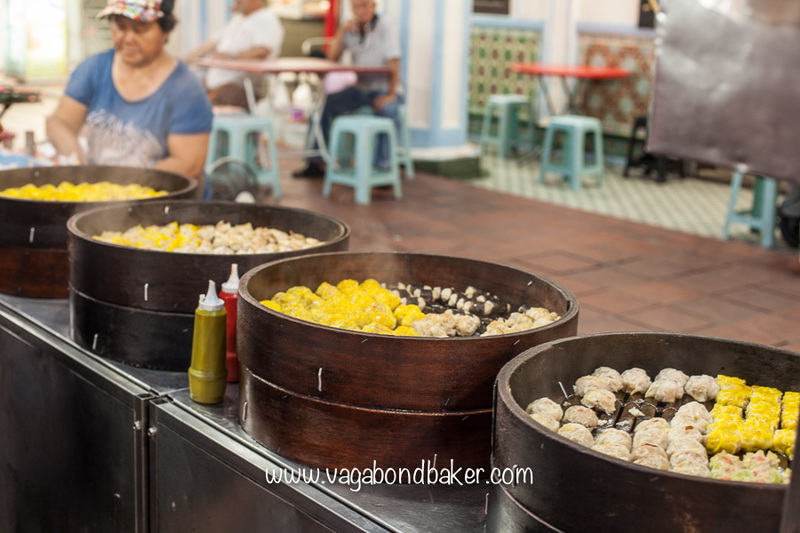 Melaka’s Jonker Street Night Market is by no means the only place to find Malaysian street food. 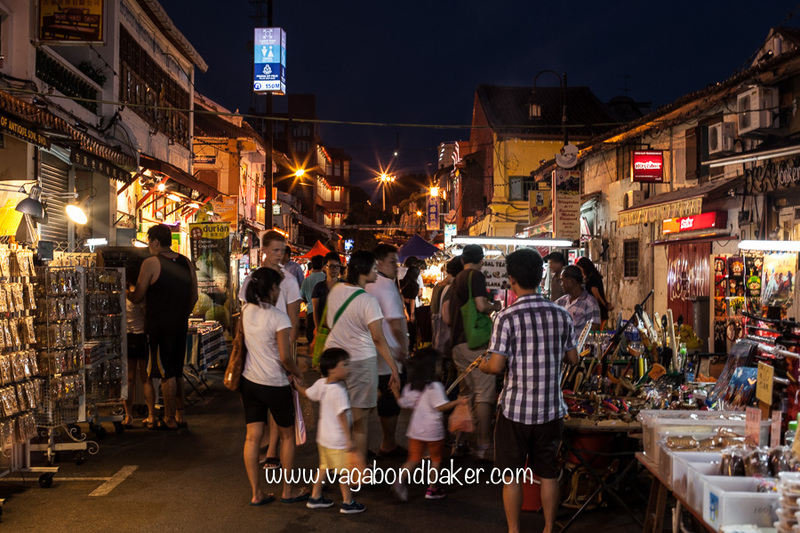 In fact, after a little trip out to a local food market, Jonker Street was a bit of a let down! Jonker Street night market (Fridays and Saturdays) is fun but a little heavy on the cheap and tacky souvenirs for my liking. 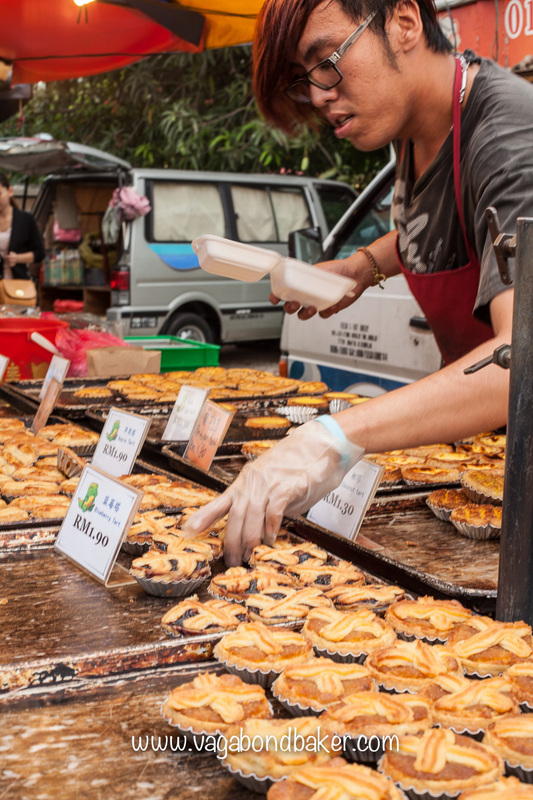 There are lots of food stalls, but none that are particularly vegetarian friendly unless you want something sweet. 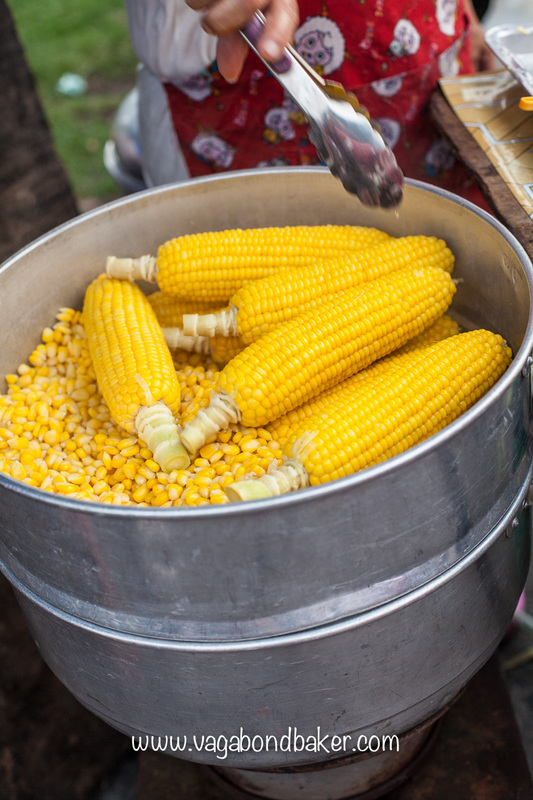 This is where my vegetarianism usually lets me down, I love food but discovering good vegetarian street food can be a hell of a challenge – outside of India. Sweet treats it was then, until we could walk over to Little India for some decent masala dosas. Just like Macau, Melaka was under Portuguese rule many centuries ago: the enduring legacy? 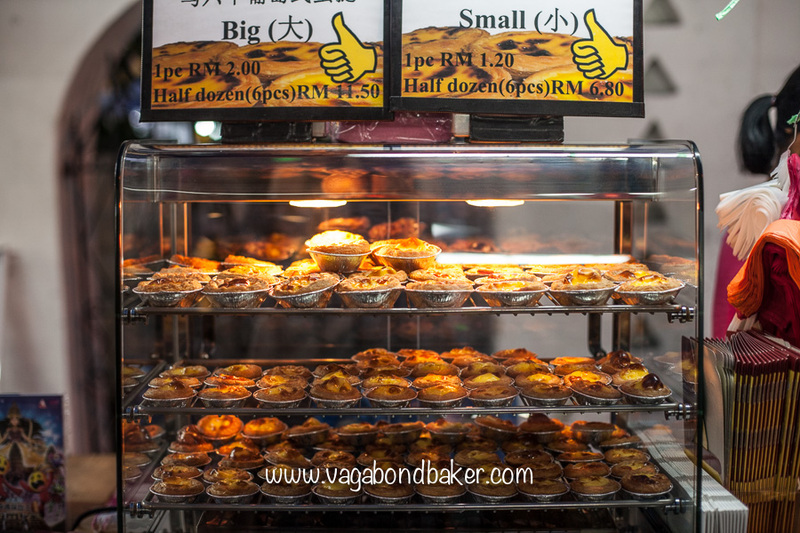 Thumbs up for Pasteis de Nata, or egg tarts to you, me and the rest of Asia! 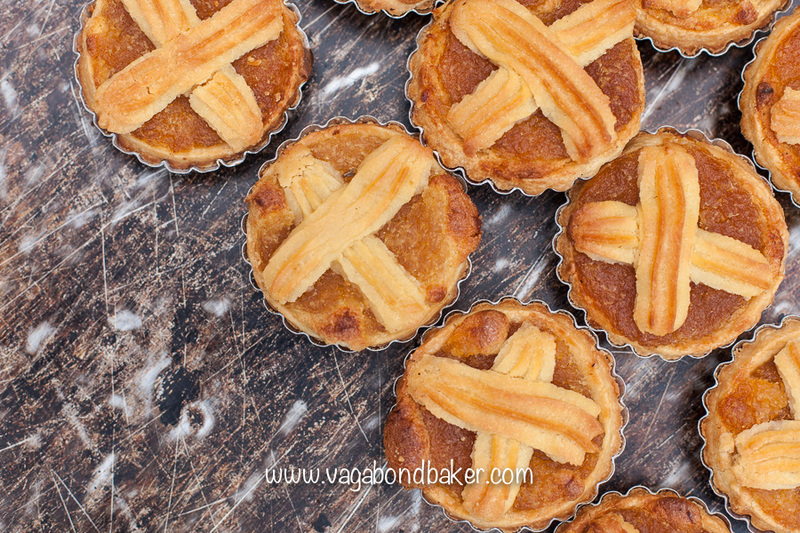 Warm custardy heaven in a crisp and flaky pastry case, hoorah! 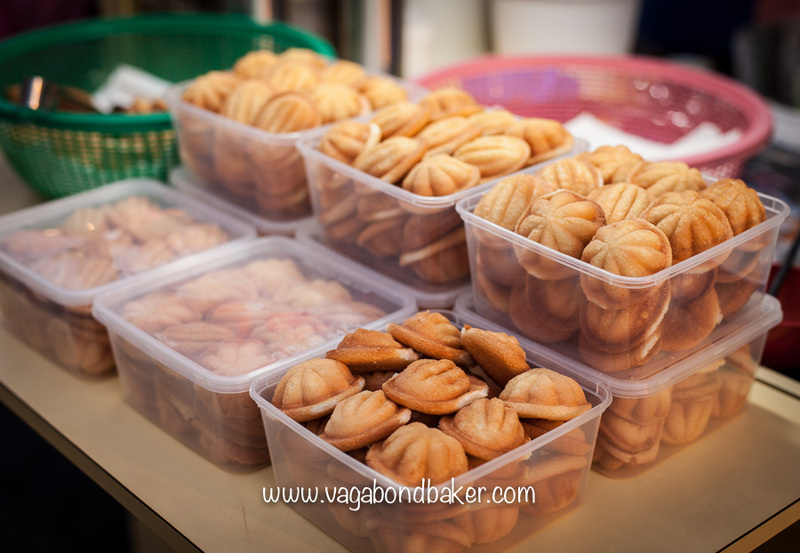 Another stall sells dainty Kuih Bahulu, think of them as butter-less Malay Madeleine’s. They look so pretty, popped out of their bahulu baking tins. We tried a couple of the small, sweet-filled pancakes, the peanut ones definitely being the tastiest, very moreish. 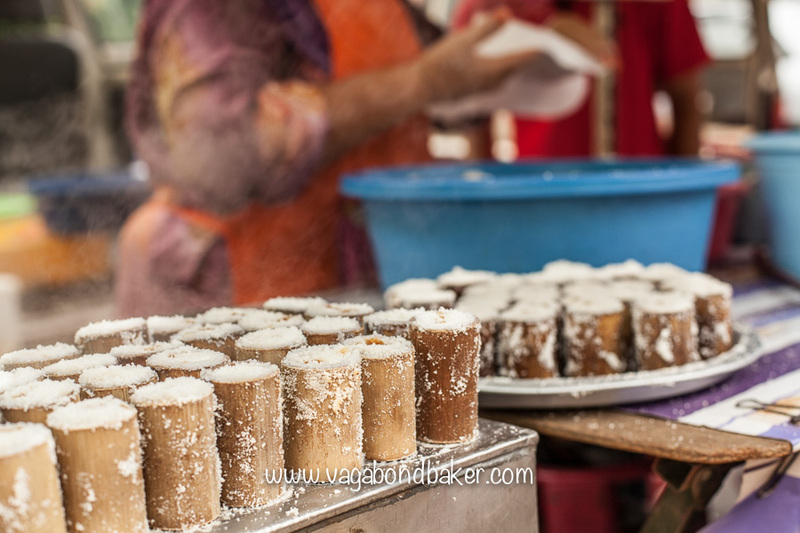 Far more interesting food can be discovered out from the historical part of Melaka, a short bike ride into the suburbs. We had only been in Melaka for around twenty minutes before we were peddling through the pretty streets on a Wednesday evening with a group of other travellers staying at the same hostel: Ringo’s Foyer. Our guide was the hostel’s owner: Howard. He was taking us all out to a local market in the suburbs, a free bicycle tour to devour some of Melaka’s finest street food. We would never have found it ourselves, we wove down narrow streets and residential roads until the market appeared. 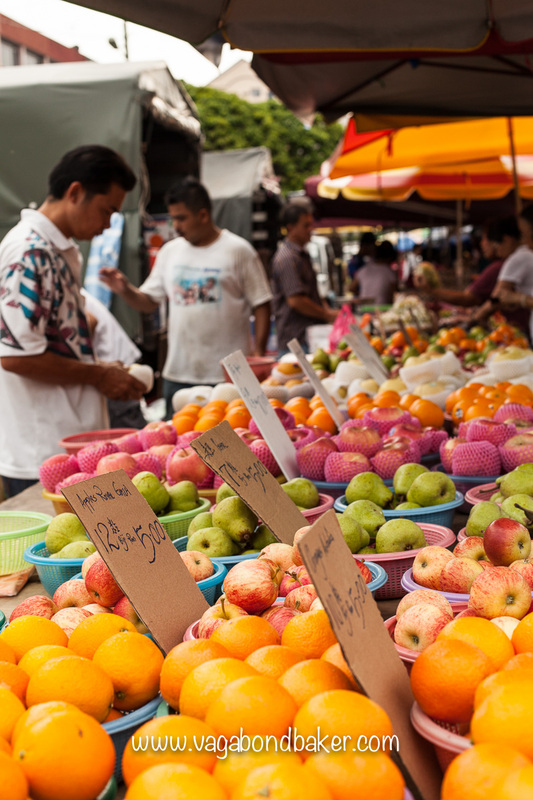 There was nothing touristy about this market, it was thrumming with locals buying their fresh ingredients and grabbing snacks as they shopped. Howard led us through the stalls, pointing our what was what. 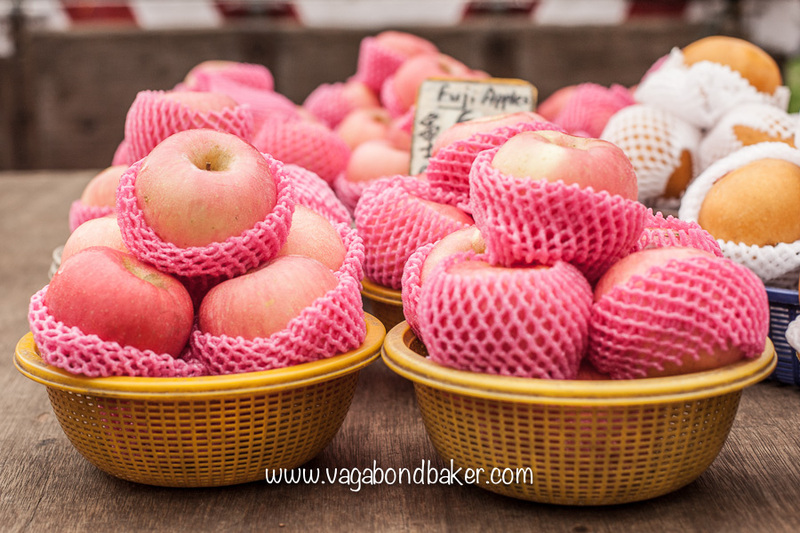 The fruit stalls looked particularly attractive, the more precious fruit cushioned in foamy jackets. 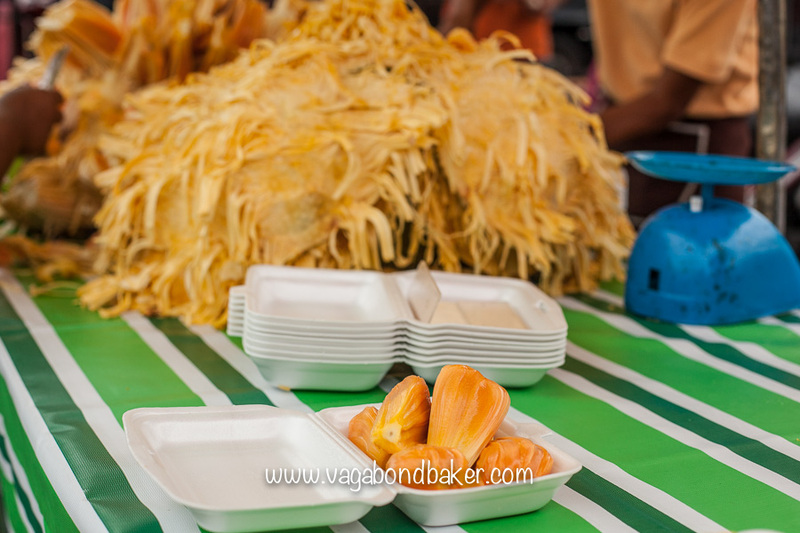 We watched a jackfruit being prepared, the fleshy seed pods separated from the fibres within the huge spiky fruit. It was mesmerizing to see. 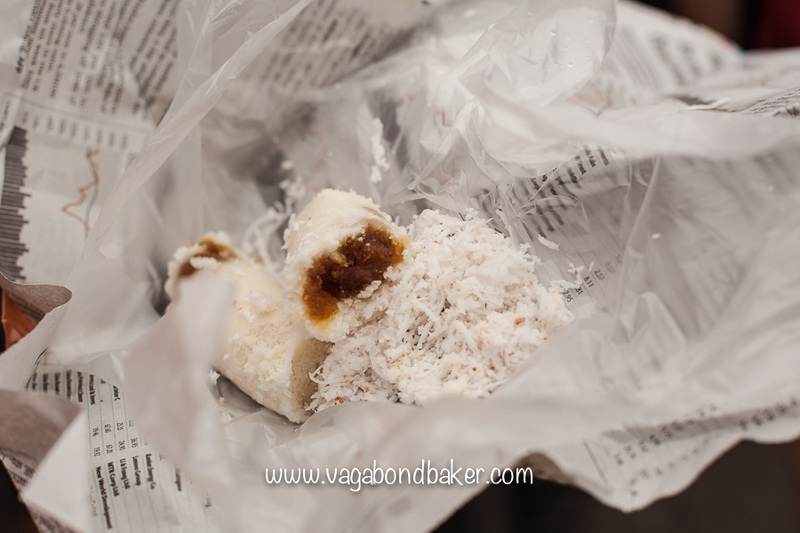 Howard introduced us to Putu Bambu: rice flour and shredded coconut with a filling of gula melaka (coconut palm sugar) which is steamed in bamboo, hence the name. This steamed cake was dense and coconutty, while the grainy sugar within was very sweet, I really liked it, others weren’t so sure. 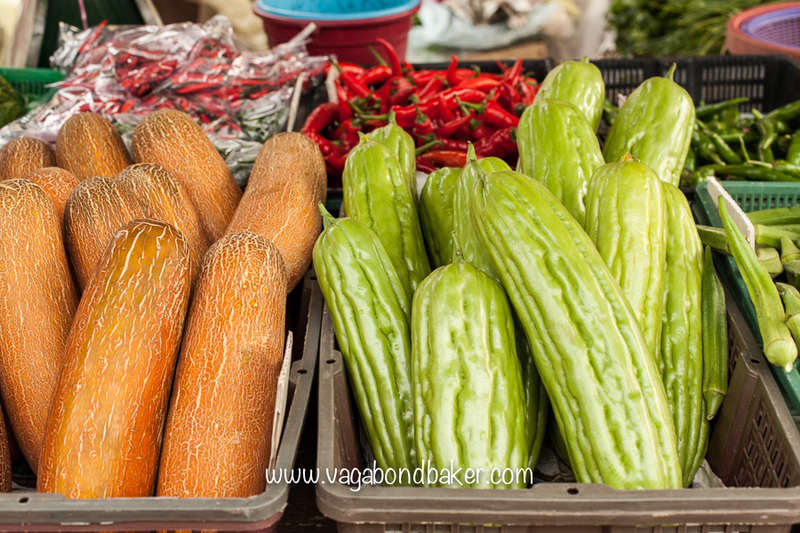 Vegetarian street food find of the day was some absolutely delicious vegetarian popiahs. 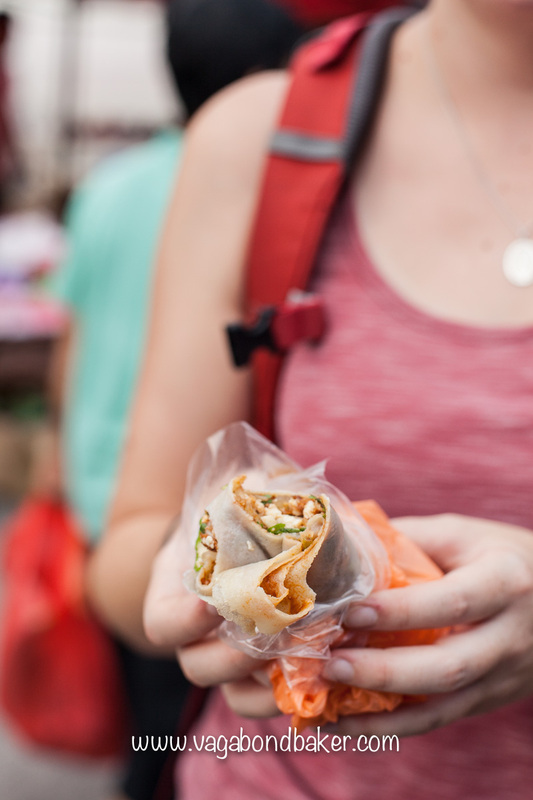 Popiahs are Malaysian fresh spring rolls (although they originate in China): thin wrappers filled with sauce, veggies, tofu and meat. Howard assured us these were veggie, we watched as the wrappers were coated with a bean paste, followed by a thick soy sauce (possibly kicap manis), fresh shredded vegetables, crumbled tofu and omelette, and chopped peanuts. 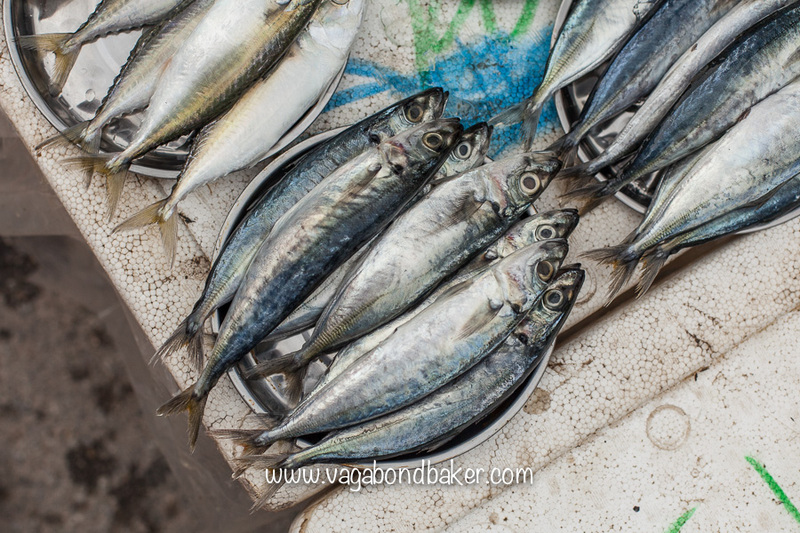 They were so fresh and crunchy, satisfying and savoury, and also very cheap! 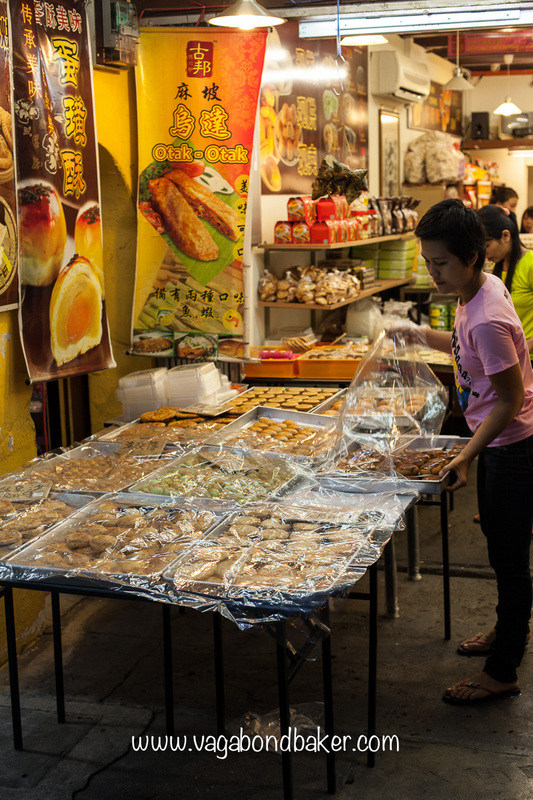 To round off our street food meal, we bought some delightful Apam Balik: Malaysian pancakes, filled with creamed sweetcorn and chopped peanuts while cooking and flipped over to seal. There are two varieties, a fat, soft one and a thin, crisp one. 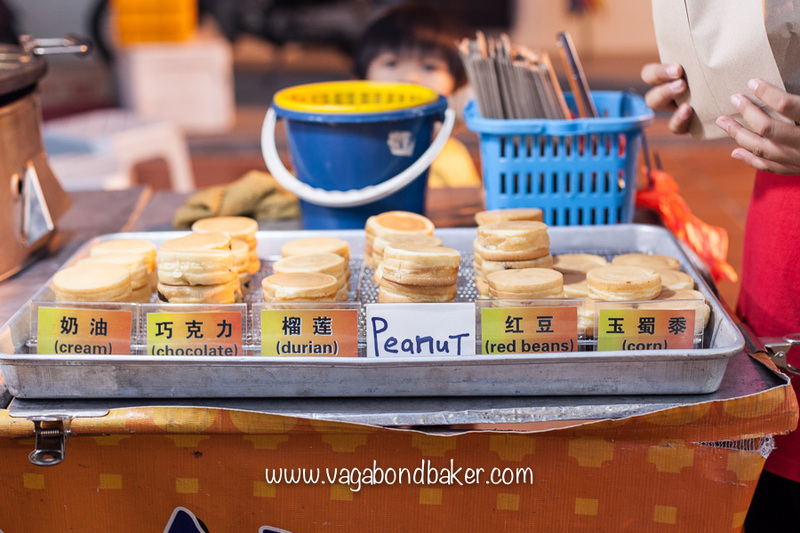 I much preferred the fat ones, filling and cake-like, the nibbly peanut filling being really moreish. 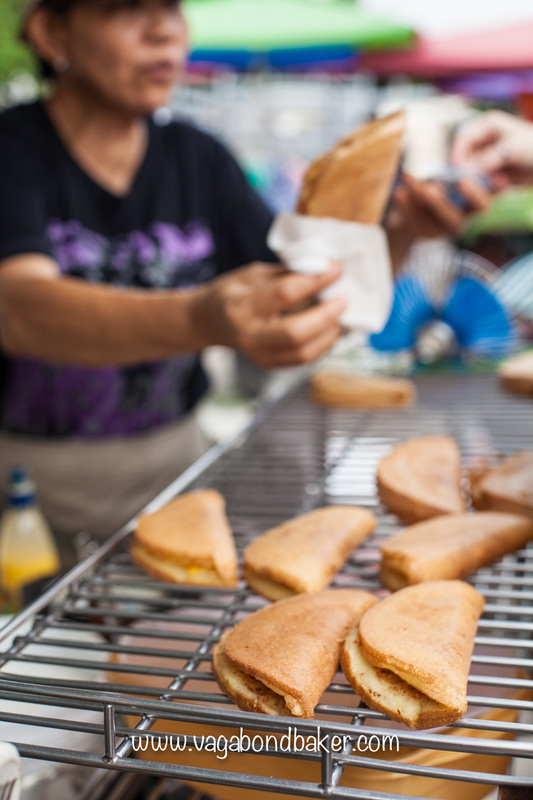 Apam Balik is found all over Malaysia, it’s a very popular street food. On the way back to our bikes, we stopped for some carry out: a box of tarts from the tart stall. 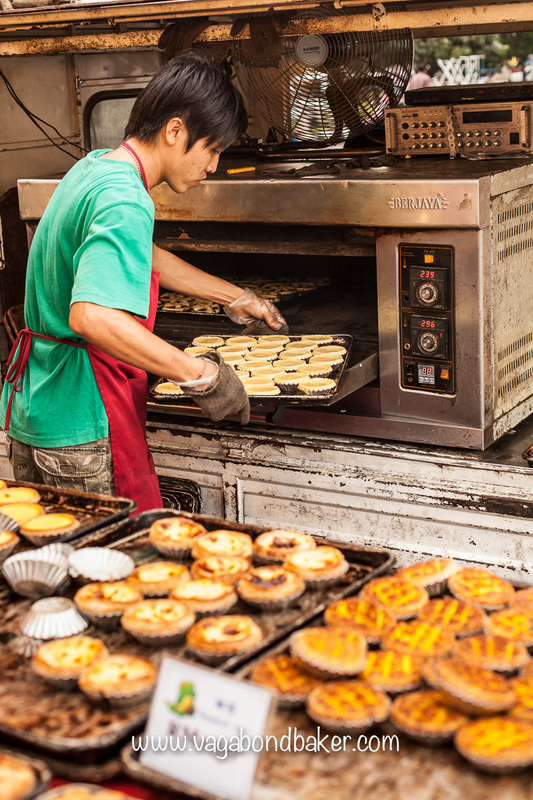 The young guys were even baking the tarts fresh on site from the back of their van: now that is some vagabond baking! We selected a few different varieties, some were better than others. Unfortunately a few were a little too dry for my taste, the pineapple one was delicious though. The tarts did look amazing, and very desirable! We hung the bags of food off our handlebars and our happy little peloton cycled back to Chinatown as night began to fall. 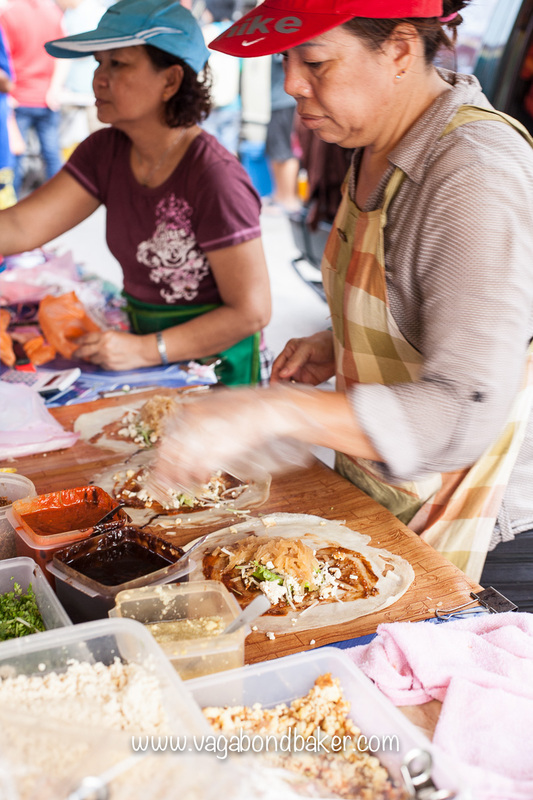 So there you have it, some veggie friendly street food in Melaka’s Markets. 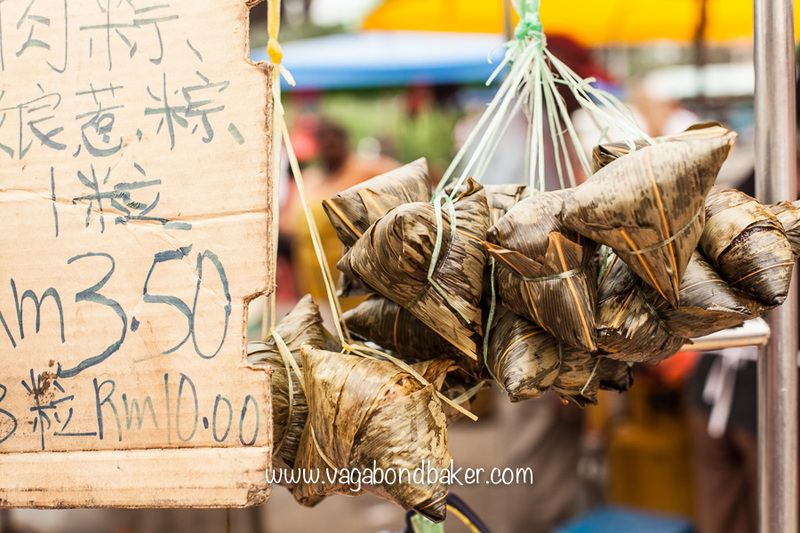 Malaysia is full of foodie surprises, it’s worth getting away from the tourists to find some real treats. If you are a vegetarian like me, then having a local with you really opens up your options. 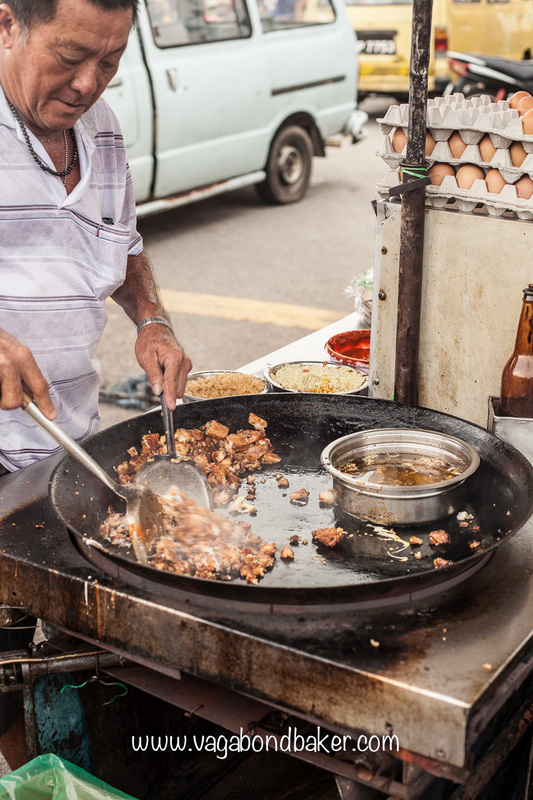 Have you found any awesome vegetarian street food on your travels?